The National President, National Association of Nigeria Nurses and Midwives, NANNM, Comrade Abdulrafiu Adeniji have called on the Federal Government to declare state of emergency in the health sector. Adeniji who made the call on Wednesday April 25 in Abuja, noted that an emergency approach was needed to resolve the issues that bother on health administration, practice, headship, representation, benefits and welfare of all stakeholders in the industry. The association urged the Presidency and National Assembly to beam its searchlight on the administration of health in the country. 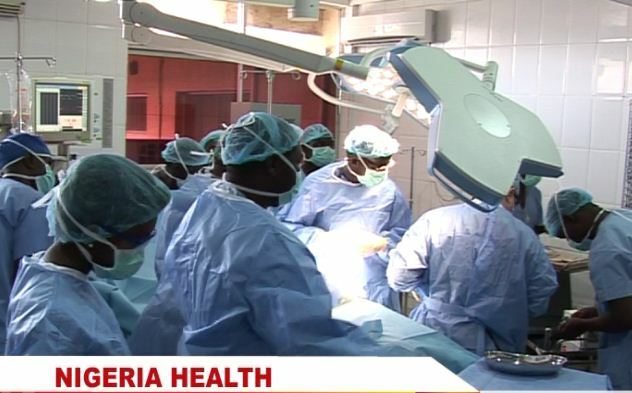 Adeniji said that the Nigeria Medical Association, NMA have proven not to be working for the general good of the health sector by calling JOHESU an illegal body. According to him, the people that are sitting with us in this negotiation knows that nobody is asking for equality in salaries because salaries by law is a personal emolument. He said if Nigerians want to visit the reason for this death, they should go and meet the federal ministry of health and NMA, they are the ones holding the health sector to ransom in this country. ''We need to tell the world that in the law that establishes trade activities in this country, if you are not a registered trade union, you cannot negotiate condition of services with the government. We have been patient since 2012 which was not fully implemented, 2014 and 2017 that was not worked upon at all. So they instigated this strike. Adeniji further said that if the government does not answer to this call, service of nurses in the state and local government will be withdrawn because we have tried. The chairman of NANNM comrade Wale Olatunde at the 11th workshop series with the theme: "Harmonious Trade Dispute Resolution; A panacea for Healthy Industrial Relationship". He urged the government to urgently look into the administration of the sector and purge it of inefficiency and corruption. According to Olatunde, there is need to liberate the administration of health care system from the strangulating hold of the present administration. He further said that the countries with the best health indices both within and outside African did not leave the administration of health care system in the hands of medical doctors as a birthright but rather depend on the best hands from within and outside the health sector. Finally, he said, "we call on Mr. President to direct the Federal Ministry of Health, the Federal Ministry of Labour and other arms of government to ensure that the terms of agreement entered into is fully implemented".